-Brenda Haithco, Founder & Lead Consultant, Brenda Young Haithco & Company, Inc. In life, there are people who intentionally dedicate themselves to promoting expertise in various areas of business while contributing to the development and growth of persons within those areas. 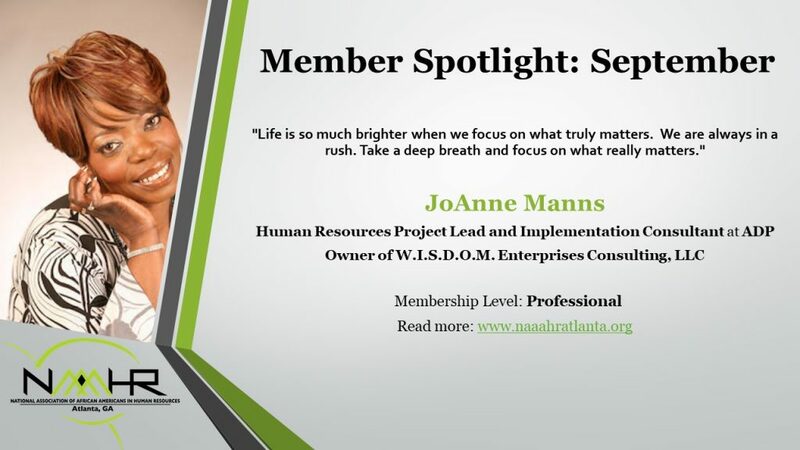 An example of this was a group of HR professionals who teamed together in the early 1990s to form the Atlanta Human Resources Association (AHRA), now known as the Atlanta Chapter of the National Association of African-Americans in Human Resources (NAAAHR). Members and friends, meet Brenda Haithco. 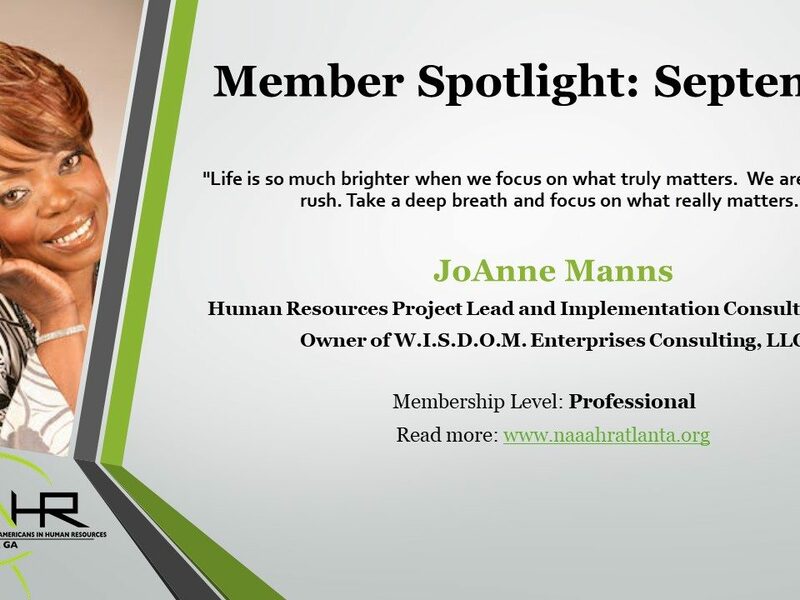 As one of the founding members of the AHRA, now NAAAHR-Atlanta, Brenda previously served on the board of directors and currently co-leads the Chapter’s Consultants Coalition affinity group. 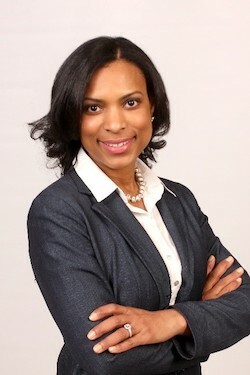 Brenda is the founder and Lead Consultant of Brenda Young Haithco & Company, Inc., an Atlanta based Human Resources Consulting Firm which specializes in providing assistance in the areas of Training & Facilitation, Talent Acquisition, and Special HR-related Projects. Since its inception in 1994, the firm has supported many of Atlanta’s premier businesses across multiple industries, sizes, and locations. With the philosophy that “no project is too small, ” the firm has collaborated with a host of clients on a variety of projects, has obtained business referrals, and received impressive references. A native of Charleston, South Carolina, Brenda’s family relocated to Jacksonville, Florida where she grew up and later attended the University of Florida, majoring in Public Relations and later earning a Masters in Educational Leadership from Atlanta’s Argosy University. 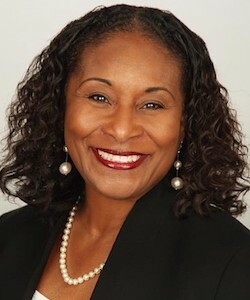 Brenda’s interest in a corporate environment lead her to a career in Human Resources with Barnett Banks of Florida, later becoming one of the bank’s first African-American officers. Following several successful years with the bank, Brenda faced one of the most challenging, yet rewarding decisions of her life….. to leave Jacksonville and make her journey towards Atlanta for more opportunities and a different life. Our family was small and very close. Although life was extremely good, I knew there was a lot more for me to experience. Following much thought, and then hitting the decision with a big dose of prayer, I made the decision to relocate. Delta Airlines could get me back to Jacksonville within an hour, and essentially, if things didn’t work out, I could always home. Brenda’s transition to Atlanta was not without difficulty. Following interviews with several corporations, she accepted a position with the Marriott Corporation’s Atlanta Airport Hotel. After completing their specialized HR Manager Training Program, she was requested to relocate to Massachusetts, which she declined and resulted in her departure from the Marriott organization. Timing was on her side, and she was fortunate enough to reconnect with Coca-Cola Enterprises and accepted the position of Employment Manager. Several years later, a major organizational restructuring within the Coke organization resulted in Brenda’s decision to accept a severance package. Within weeks, she accepted an opportunity in Human Resources with the 1996 Atlanta Committee for the Olympic Games (ACOG). While exciting, it was 9 months later that an opportunity arose for Brenda to move into an independent contracting role. I thought to myself, ‘You know what? I can always get another job, but I don’t know if I will ever have another opportunity to springboard into my own business like this!‘ I decided to step out on faith and give it my best shot. I’ve been going strong ever since. Brenda noted that her journey into consulting was much different from the current path most consultants take today. I didn’t prepare a complicated business plan, conduct extensive financial analyses, nor make unrealistic projections. 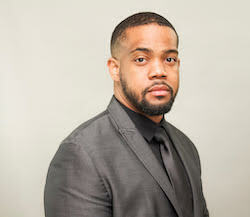 I simply identified the areas of work that I knew I’d really enjoy, made direct contacts with decision makers, utilized my references, and applied a ‘one project at a time approach‘ which resulted in having relationships which remain solid to this day. Relationships and being trusted are very important to me. I named my firm after myself because people would know me and that my reputation would speak for itself. Basing the business on relationships has served my firm well. When Brenda is not working, she and her husband of 18 years are traveling the country attending jazz festivals, concerts and beaches. She also enjoys taking historical tours and visiting museums. I really love having a good time and find it interesting when people presume that because I’m a preacher’s wife that I’m somehow ‘different’ than I really am. People who know us, know that my husband and I make it a point to live, love and to always have fun. Did you meet Brenda at our Spring Mixer? Would you like to hear how Brenda uses the T-account method to weigh her decisions and how well that has worked for her? And what about her involvement in the Consultants Coalition affinity group and how you can get involved? If so, make sure you attend our August Chapter Meeting on Wednesday, August 8th, to ask her these questions and more! Check out our calendar of events to see what other opportunities await to get out and meet like-minded professionals in Human Resources and other professions in various industries.